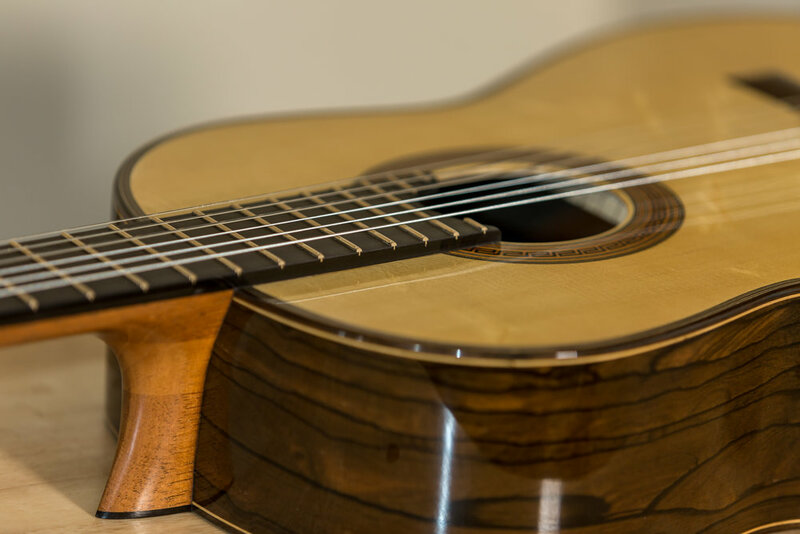 With the recent ban on shipping rosewood internationally, Ive decide to use Zirocote as the wood of choice for my international model guitars, as well as my national. 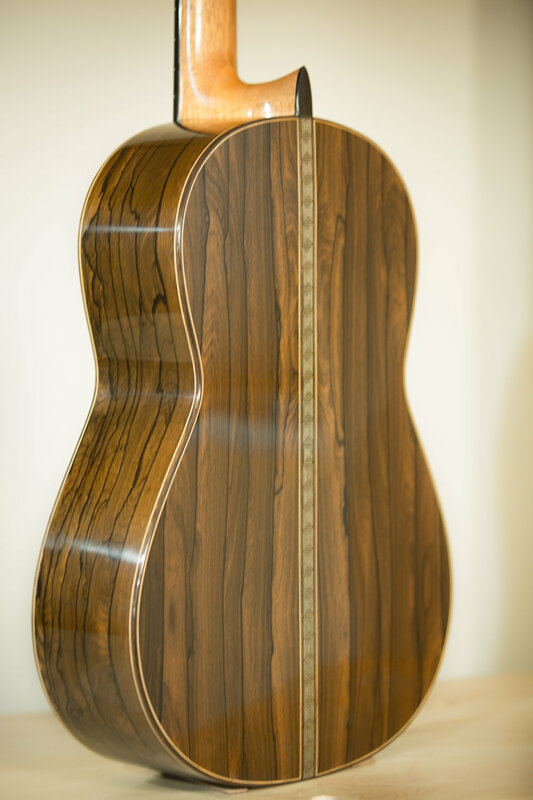 In fact, Zirocote is the closest in tonal qualities to Brazilian rosewood that I've come across, and is at the top of my list as far as tone woods for the back and sides. Strikingly beautiful, with a rich chocolate brown color, and spiderweb Brazilian-esq grain. 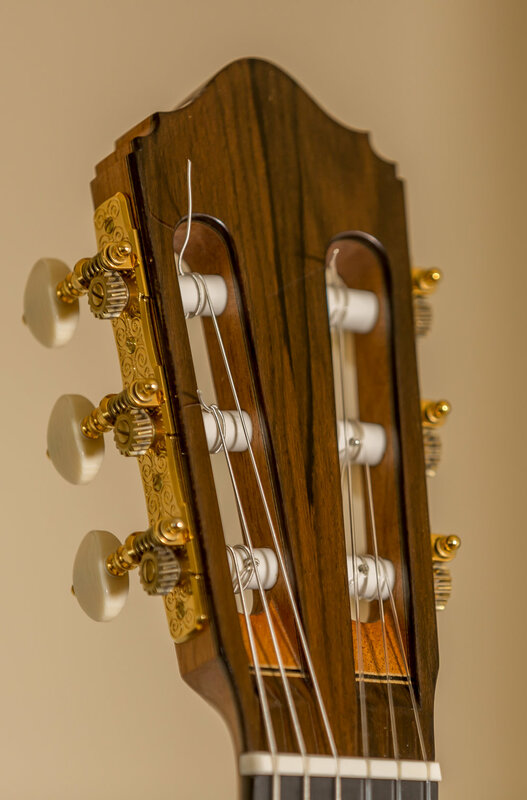 Zirocote is not a rosewood species, and there is no rosewood on these guitars making it care free for international shipping. 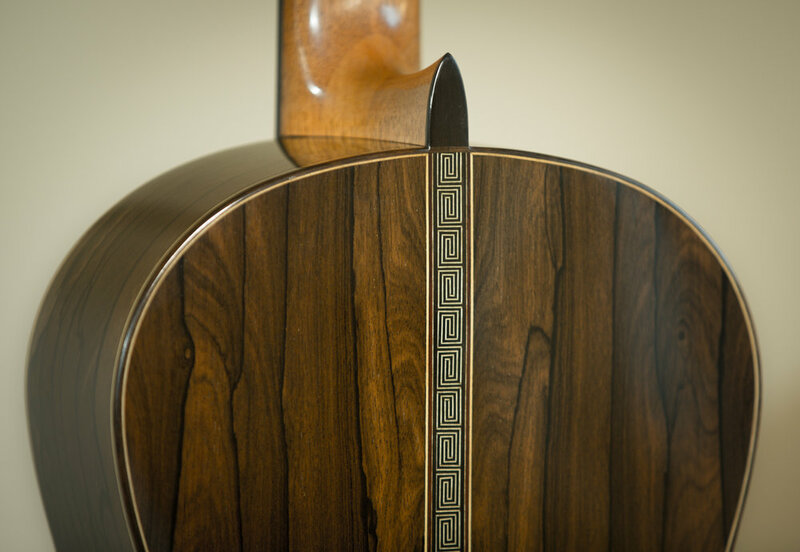 The Torres Greek-key inlay is optional. This guitar is not for sale.